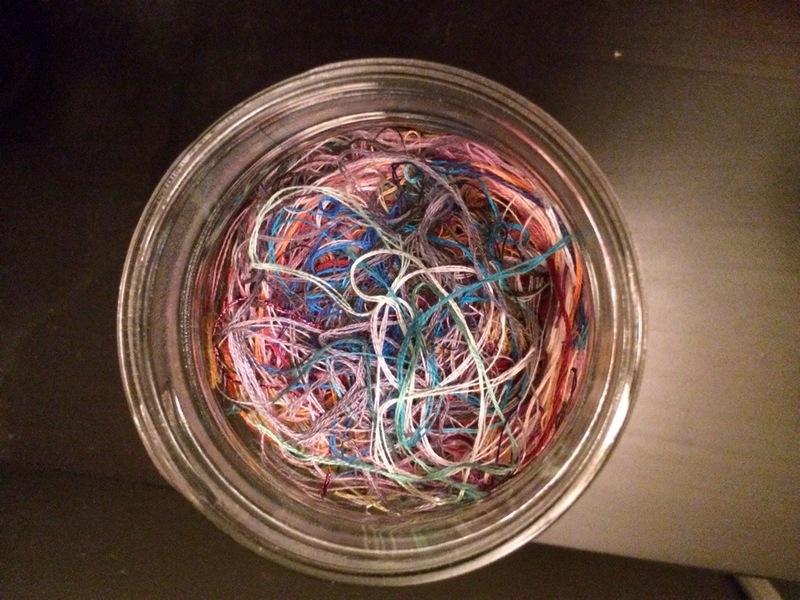 I didn’t do a totally useless stitch along update last month, but my jar is pretty packed. I’m still rocking the same jar and I’ve just been squishing it down, so it’s really full. I’ve been trying to think of something to do with it at the end of the year. I thought about maybe making a little plush of some sort and stuffing it with the ORTs. Any other suggestions of what I could use it for? It is pretty nice to just look at, so colorful! 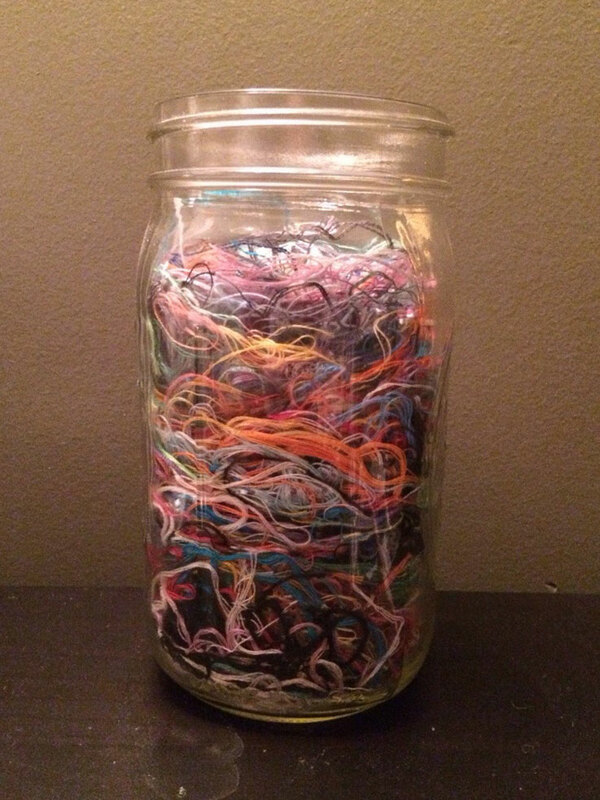 I have a giant bag full of my yarn scraps. When it’s full, I’m going to take them and shove some into suet feeders for birds, so they can use them to build their nests. You could probably do that with yours!